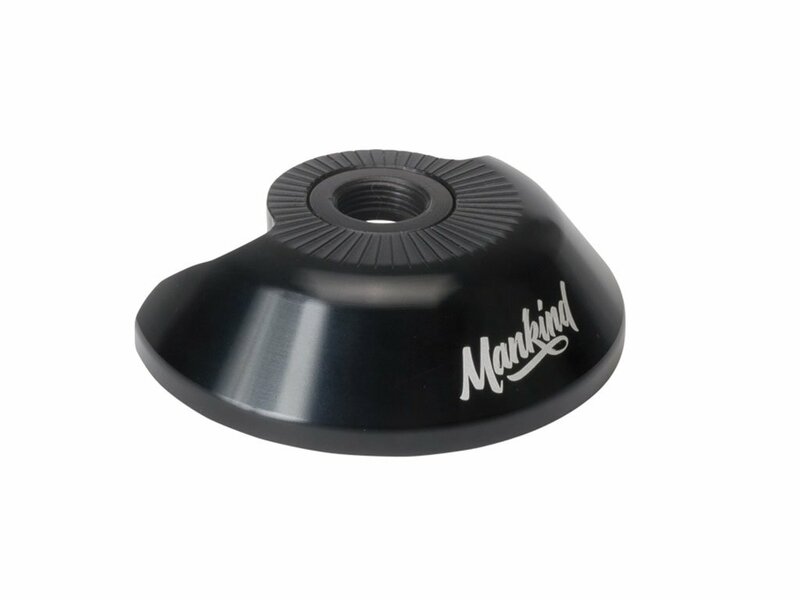 This Mankind Bike Co. "Prometheus Freecoaster" Rear Hubguard - Driver Side is made of light 7075 aluminium and includes a CrMo insert. 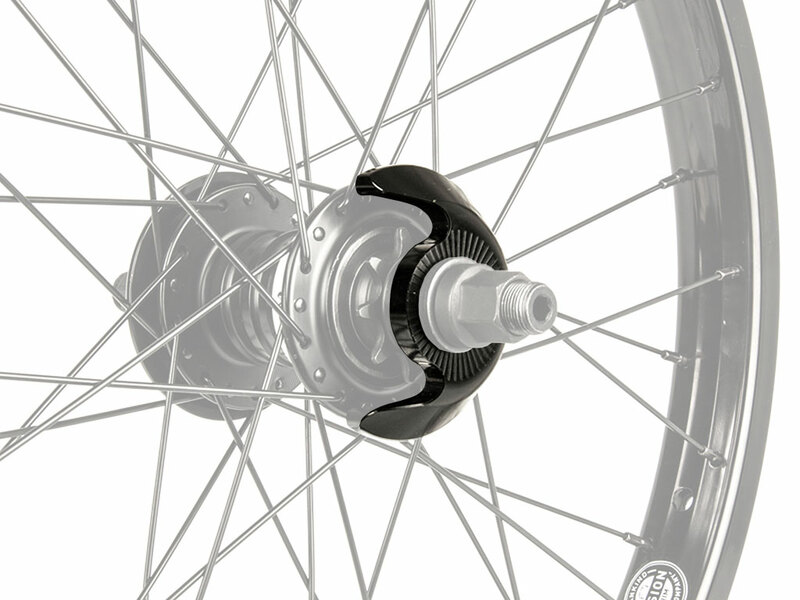 It protects the driver and the flange as well as the spokes of your Mankind Bike Co. "Prometheus" Freecoaster hub against damage which may arise while grinding. 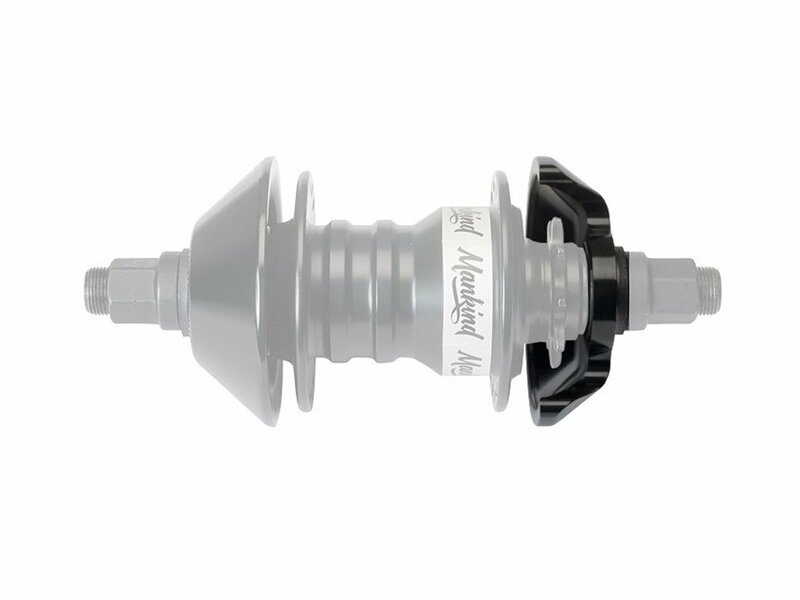 This hubguard replaces the original cone nut of the "Driver Side.